CANDLEMASS - DACTYLIS GLOMERATA VINYL (LP 180G BLACK) | Online Shop | Wizard LTD. 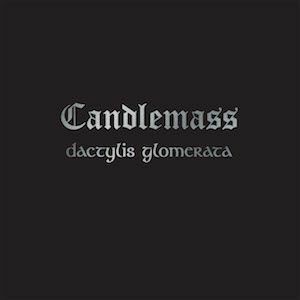 Album: "DACTYLIS GLOMERATA VINYL (LP 180G BLACK)"
Candlemass were formed by bassist and songwriter Leif Edling in Stockholm, Sweden in 1984. Well known for their epic doom metal, they have hugely influenced a generation of the genre&apos;s subsequent greats from My Dying Bride to Paradise Lost - Candlemass themselves taking a large influence from Black Sabbath. Dactylis Glomerata was a come-back album of sorts, originally released in 1998, after the band had temporarily been laid to rest after the Chapter VI album. Dactylis was an album of more stripped down dirty doom with some solid songwriting on display, evoking what some described as a strong stoner vibe, along with some hard rock elements. This was in contrast to the more epic heavy metal inspired compositions from previous albums, which the band were more known for. Having stood the test of time incredibly well, Dactylis Glomerata is a gem in the band&apos;s rich history spanning 30 years. The album notably also features guitars by Michael Amott of Arch Enemy (ex Carcass), and also a guest appearance by Ian Haugland from Europe. This edition of Dactylis Glomerata is presented on heavyweight vinyl.